Singapore is a small city-state (its area is roughly around 277.6 sq. mi) situated at the southern tip of Malaysia. Despite its size, this city-state is known for its captivating tourists destinations, various shopping mecca, delectable dining destinations, and cozy HDBs. In Singapore, diverse cuisines can be experienced and one of its prides is ramen. Ramen is arguably one of the staple foods in many Asian countries, especially in Japan. However, ramen cannot only be eaten in Japan. Singapore has also its fair share of scrumptious and steaming bowl of ramen. 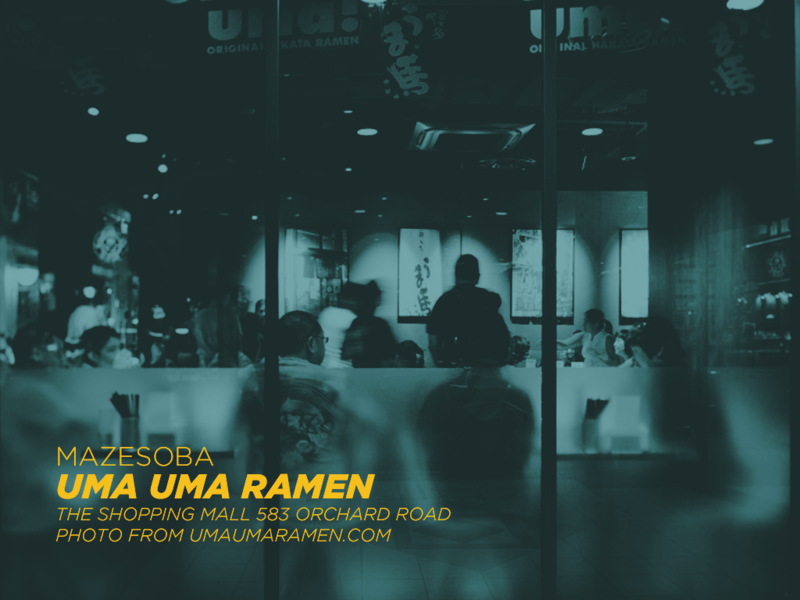 Do you have a hard time finding the best ramen house in the city state? Worry not! We’ve got you covered! 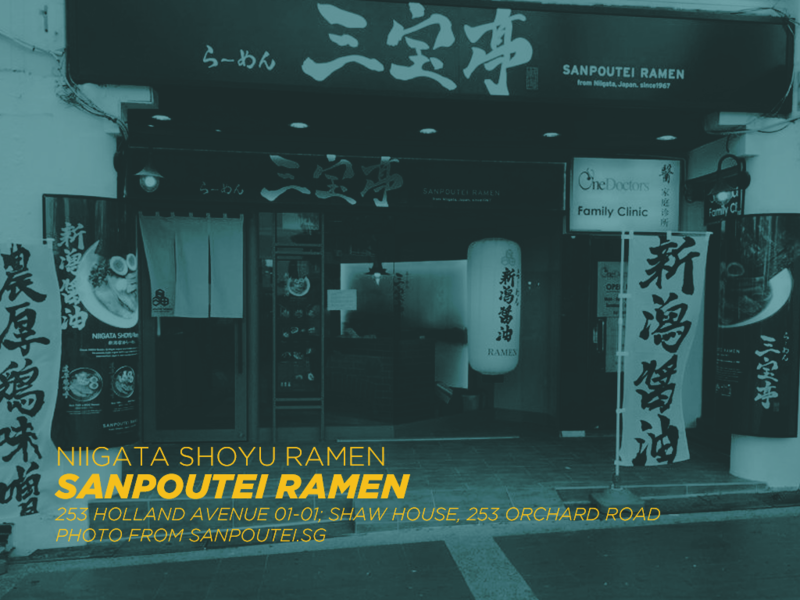 Here are few of the best places to get scrumptious ramen in Singapore. 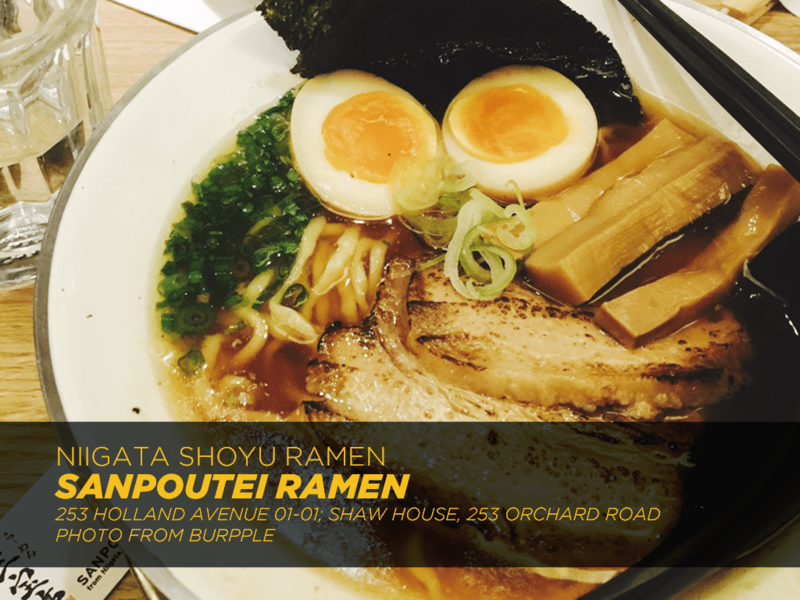 Sanpoutei is known for their Shoyu Ramen, which originates from Niigata in north of Tokyo. 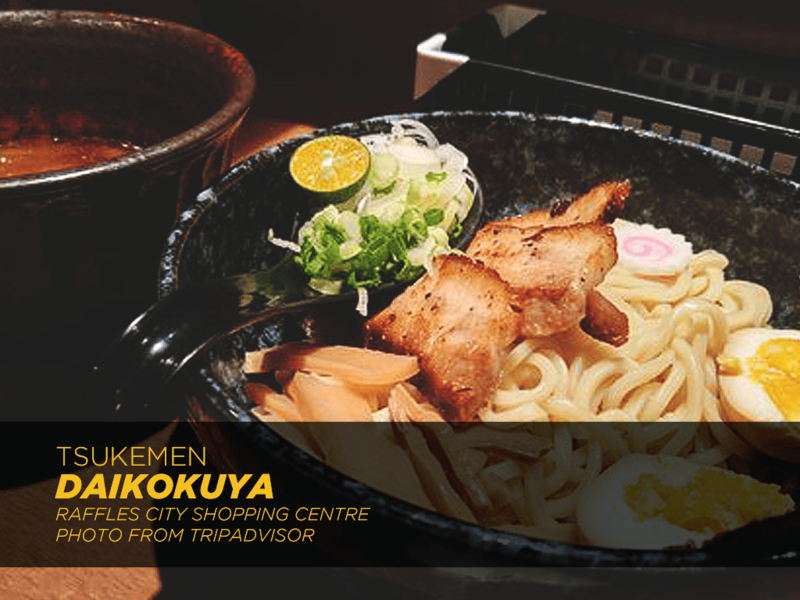 Their brilliant bowl of Ramen has thin and flat noodles, making it tastier and flavorful. Niigata Shoyu Ramen contains two types of dried sardines, which are imported all the way from Japan. The dried sardines give ramen a smoky flavor. Apart from the sardines, this ramen also has pork, whole chicken, and vegetables, making it a complete ramen experience. 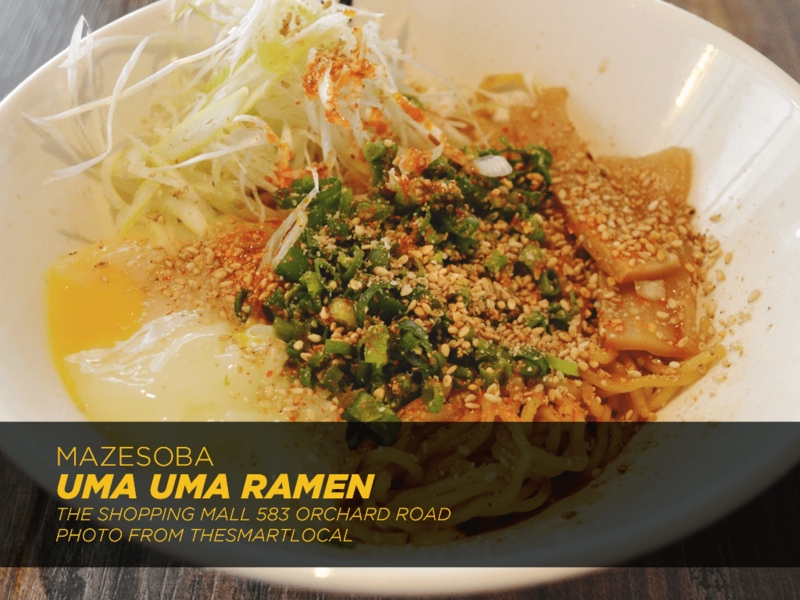 Mazesoba, a dry ramen, is one of the sought-after ramen in Singapore because of its undeniably delicious combination of ramen and local tar mee. Its noodles are tossed with spring onions, beansprouts, bamboo shoots, chili oil, and a perfect onsen egg, which doubles as a sauce and coats the noodles, too. 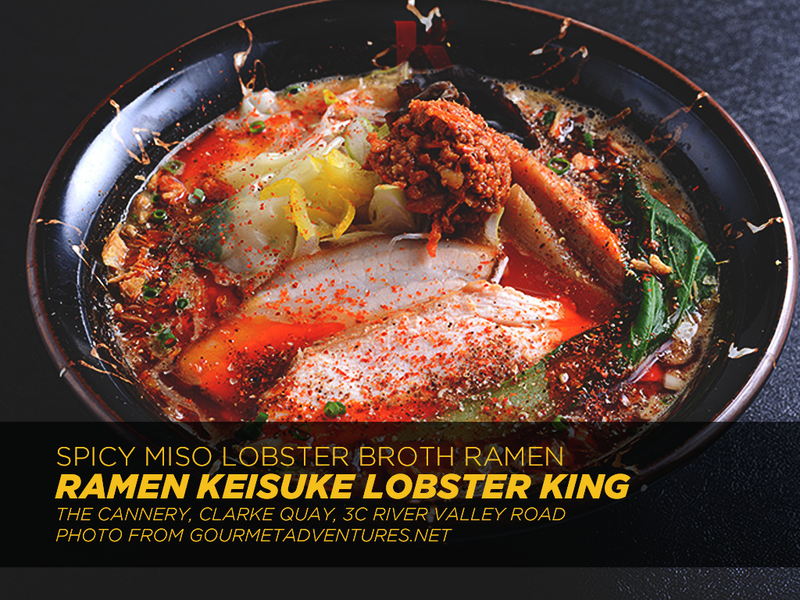 If you are a fan of spicy food, Spicy Miso Lobster Broth Ramen is definitely for you. 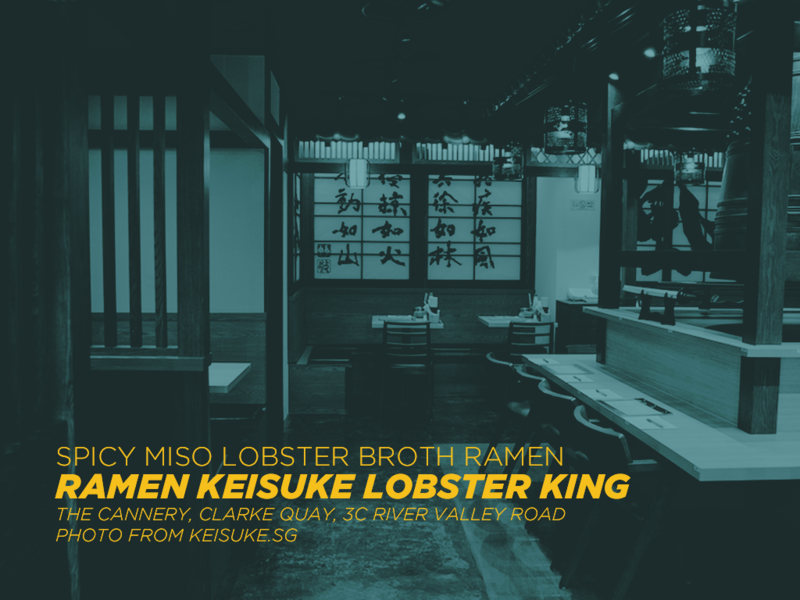 This ramen is one of the four variants of lobster stock ramen by Ramen Keisuke Lobster King. It has chicken char siew, pork belly, and black pepper prawn wontons. Its winning recipe formula is inspired from the French culinary style. The lobster in this ramen is French rock lobsters, which is specially imported from France, giving the ramen an abundant and rich flavor. 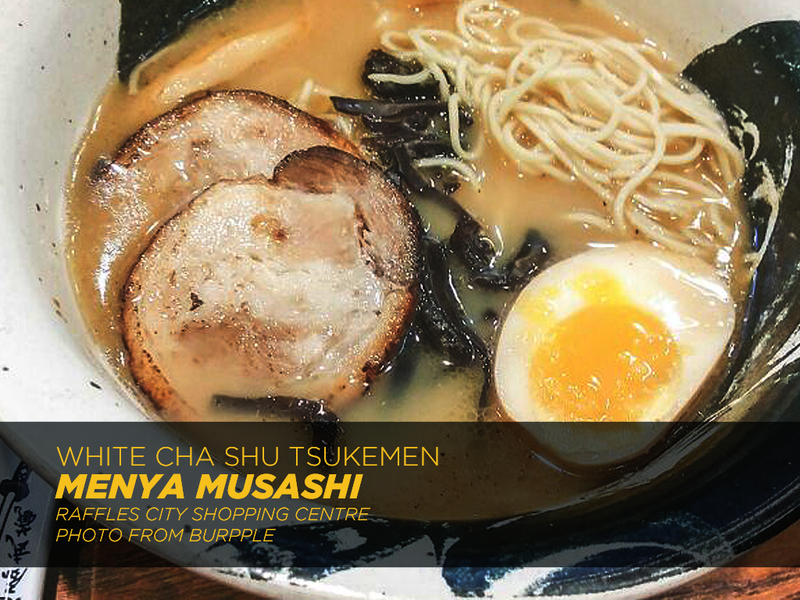 White Cha Shu Tsukemen has a thick and chewy noodle, making it one-of-a-kind ramen. The noodles make up the dish since it goes perfectly with the dipping sauce, which has a viscous texture that solidly clings into the noodles. 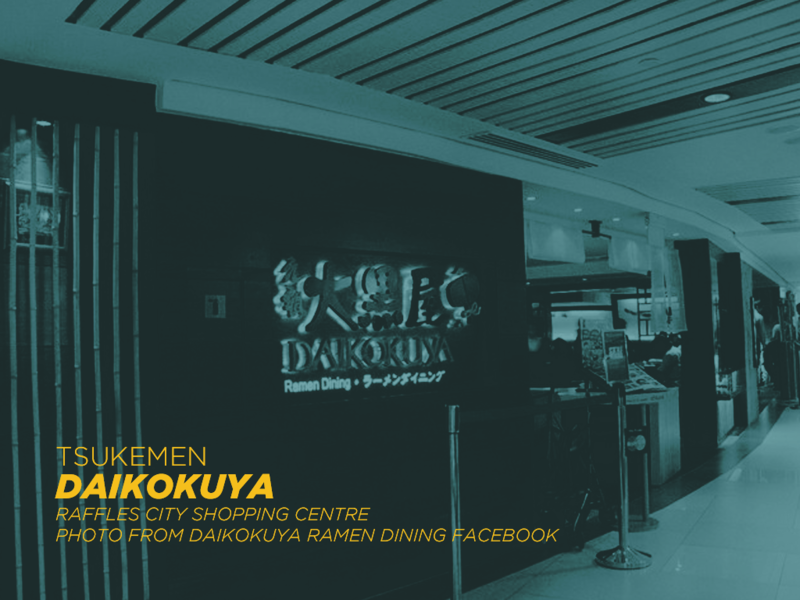 One of the signature dishes of Daikokuya is their Tsukemen, a dry ramen with delectable dipping sauce. The firmness and springiness of its noodles are two of the reasons why this ramen is best-seller in the restaurant. Even if the weather in Singapore is hot, there’s no stopping for Singapore locals, even international tourists, to taste the scrumptious and steaming bowl of ramen. With this, several ramen houses are sprouting in the city state. Each ramen restaurant definitely offers the best and high-quality ramen bowl. 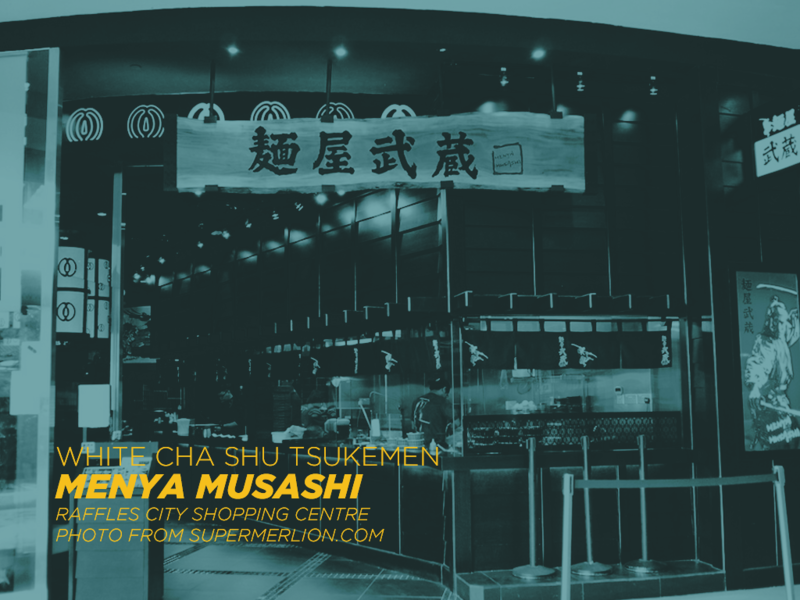 So the next time you visit Singapore and crave for ramen, refer to this guide to give you a hint to the best ramen shops in Singapore. 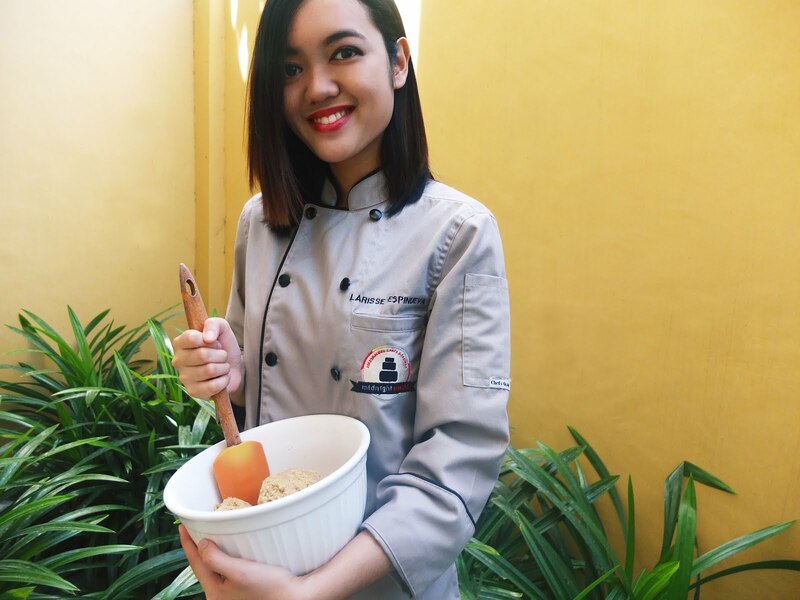 Larisse is a full-time foodie, blogger and professional cakemaker. She makes a living making personalized cakes. She blogs to relax and express her thoughts in her website: Larisse Gastronomique. She is also a contributor for Oh My Home! Fun Fact: She’s also known for her love of cheese and weird appreciation of odd humor.